The Southwest is known for its sweeping landscapes and natural wonders. But what many don’t know is that the stunning region is also pet-friendly. From national landmarks to luxurious pet-friendly hotels, discover the top amenities in these six cities. Santa Fe is an art-centric, iconic Southwestern city — complete with adobe buildings and lavender plants — that caters to the pet set. 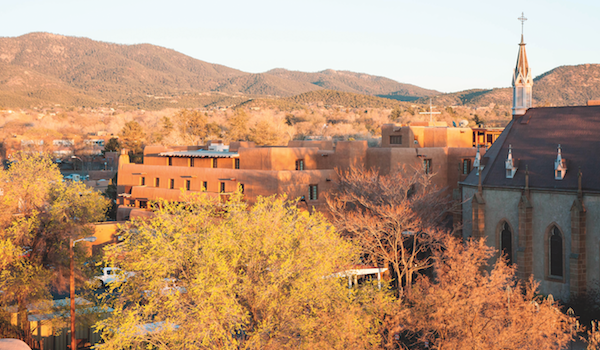 Hotel Chimayo is a dog-friendly, boutique hotel steps from the heart of downtown — the Plaza. The hotel (shown at top) features an inner courtyard and is surrounded by parks. Want to check out the scenic outdoors? Head up high to the nearby Cross of the Martyrs park to watch the sunset with your dog. For some shopping, check out downtown’s Back at the Ranch, which crafts custom-made cowboy boots featuring images of your dog. Leashed dogs are welcome on the patio of The Shed, a hot spot in Santa Fe’s Plaza that claims to serve the city’s best red chilies. Santa Fe’s gallery-laden Canyon Road is home to pet-friendly Alexandra Stevens Gallery of Fine Art, which offers custom dog portraits. Photo courtesy L’Auberge de Sedona. Sedona is notable for its red rock formations, new age vibe, and dog amenities. Looking for a place to stay? 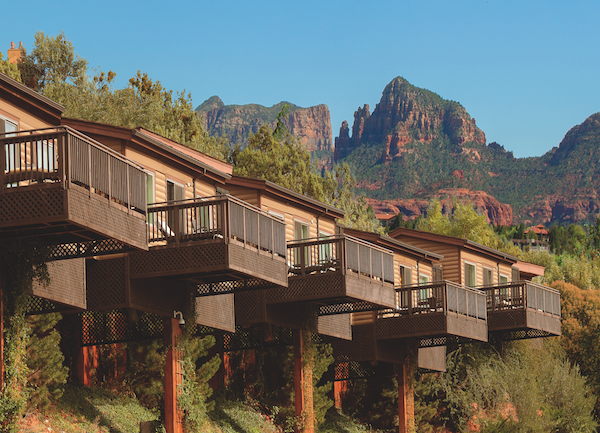 L’Auberge de Sedona is a luxurious creekside resort featuring pet-friendly cottages, complete private patios, and grass where you can walk your pooch. Upon arrival, you’ll receive a dog bed, food and water bowls, and a goodie bag featuring toys, treats, and waste bags. Notable for its breakfast, Creekside restaurant offers a pet-friendly patio where you can enjoy breakfast dishes like eggs Benedict and homemade Bloody Marys. Or, you can sip on house-made lemonade or indulge in a slice of chocolate ganache cake on the lush, shaded pet-friendly patio at ChocolaTree Organic Eatery. Catch glimpses of the city’s stunning red rocks as your pet explores the Sedona Dog Park. Garden of the Gods courtesy Visitcos.com. Sixty miles from Denver, Colorado Springs sits in the shadows of the Rocky Mountains. Guests of the city’s most iconic hotel, The Broadmoor, will receive bedding and food bowls, a complimentary treat, and a dog menu. Pets can explore designated areas on the hotel’s well-manicured grounds. Many of the city’s top attractions are pet-friendly. 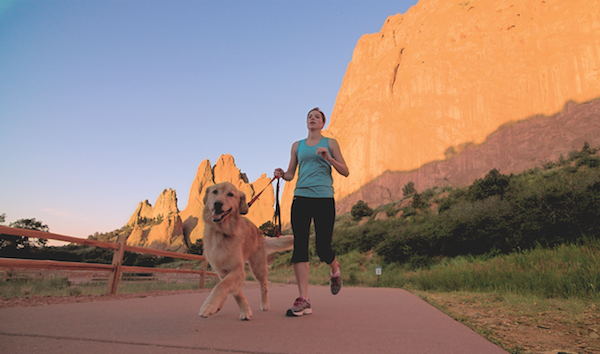 Leashed dogs are allowed at Garden of the Gods, a park that features stunning red sandstone formations. The most-visited mountain in North America, Pikes Peak, welcomes dogs. You can drive up the peak and then take in a sweeping view of Colorado Springs. Hungry after all that exercise? Hearty fare like burgers and fries rule the menu at The Public House, which features a dog-friendly patio where pooches get free water. 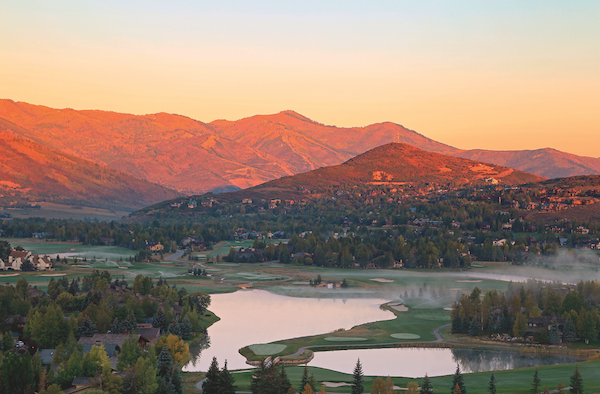 Park City, Utah, by Shutterstock. Park City — or “Bark” City — has earned its nickname. Stroll down this ski town’s quaint Main Street with your pet, and pop into pet-friendly haunts like the upscale Butchers Chop House & Bar where dogs can sit on the patio. The Waldorf Astoria supplies in-room bowls and beds, homemade doggie treats engraved with your pet’s name, and you can even book a 25-minute in-room canine massage. Fenced-in Willow Creek Dog Park features a dog-friendly pond, trails, and an agility course, while Trailside Dog Park offers stunning mountain views and a 1-mile off-leash area where dogs can roam. Arizona’s largest city, Phoenix, is a sprawling sun-soaked metropolis teeming with dog-friendly features. 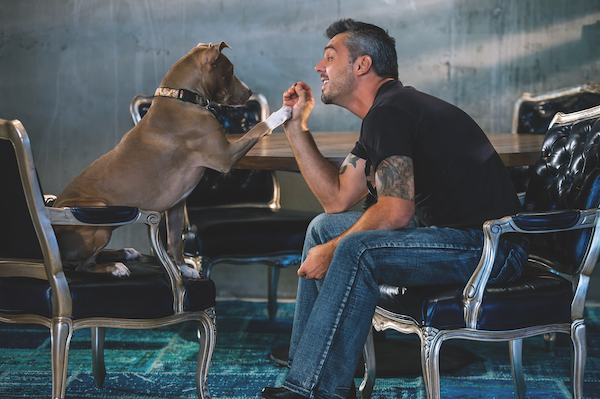 Downtown’s Hotel Palomar supplies in-room pet food, a leash, waste bags, and water bowls. Nearby Short Leash Hot Dogs serves gourmet hot dogs you can chow down on a pet-friendly patio on art-centric Roosevelt Street. Also downtown, Hance Dog Park provides plenty of green grass where pets can run around off-leash. O.H.S.O. Eatery + Distillery’s dog-friendly patio features free dog treats, and you’re likely to see dogs sitting on bar stools out – side at this patio that overlooks Camelback Mountain as you sip brews. For a stunning view of the city, head to South Mountain Park to Dobbins Lookout. Make it a workout if you decide to hike to the top. The post Top 5 Pet-Friendly Destinations in the Southwest appeared first on Dogster.